Ideal for traditional and slow cooking techniques, designed to heat evenly and steadily, holding heat so foods stay warm while serving. The cast iron pan features a pre-seasoned cooking surface to help prevent sticking, and oversized handles for easy and secure lifting. Can be used on gas, electric and even induction stovetops, as well as in the oven and broiler. 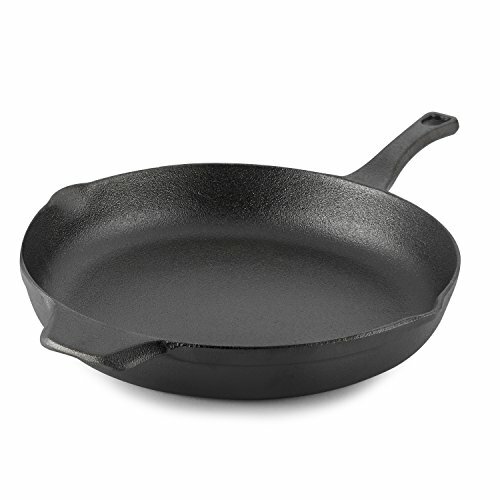 Cast iron skillet is ideal for both stovetop and oven use, and makes delicious seared steaks, baked cornbread, or tasty frittatas. This product is protected by Calphalon's full lifetime warranty.